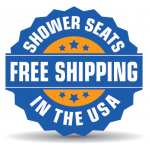 This luxurious folding shower bench from Freedom Showers is mounted to the wall by the back frame, creating attractive and comfortable shower seating. The 18" wide shower seat has a brushed stainless steel frame with a steel barrel hinge that lets you fold the seat bottom almost flat against the wall for the ultimate space saving option. 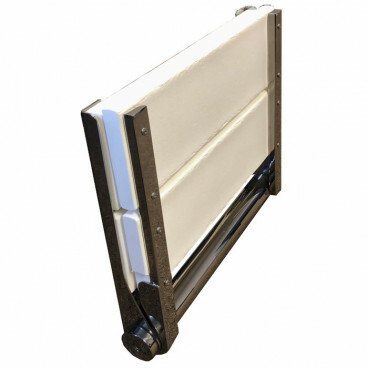 The white resin slats are durable and easy to clean. The back slats are removable for even better cleaning. For anyone with mobility limitations or seniors who just want to feel safer while showering, the addition of a wall mounted shower seat can make a world of difference for independent living and aging in place. Having the option to sit down while bathing is important for anyone who tires easily or has balance issues to help prevent falls.